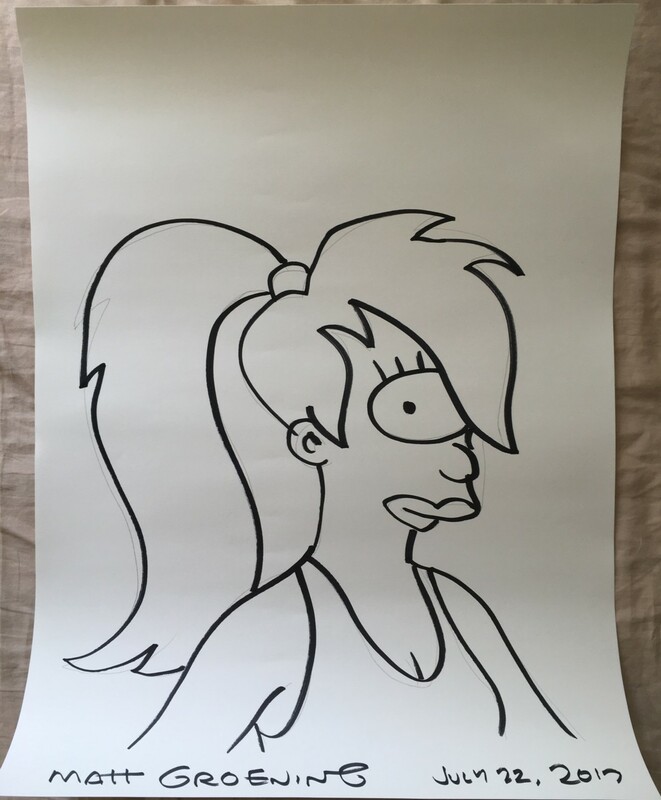 Huge Matt Groening hand drawn sketch of Leela on 18 by 24 inch paper, autographed and dated. 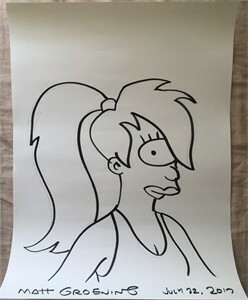 Groening's pencil outline is visible in places next to his black marker sketch. Obtained at 2017 Comic-Con, with certificate of authenticity from AutographsForSale.com. ONLY ONE AVAILABLE FOR SALE.